It was sad to recently see Toyota end Australian production after 54 years in the business. However, there is a significant upside for anyone looking to buy an all-new Toyota Camry. 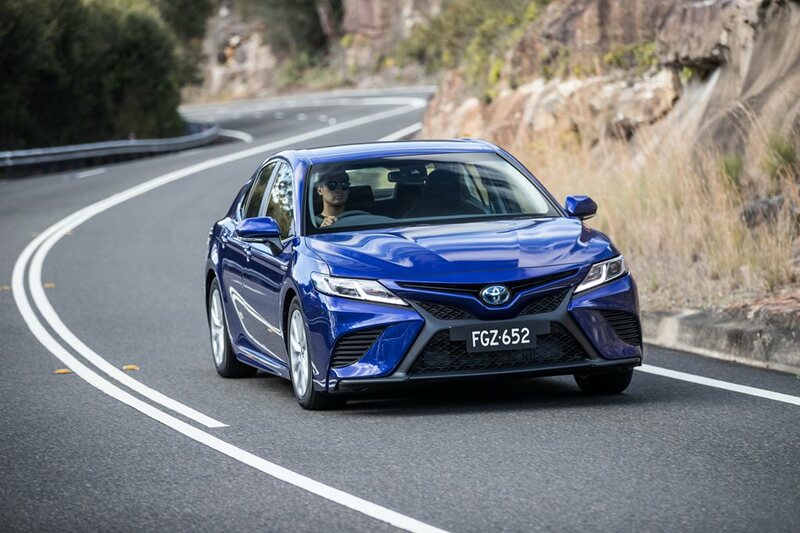 It goes without saying that an all-new model will be more advanced than its predecessor, but the new Japanese-built Camry represents a revolutionary leap in design and technology because the Aussie-built model it replaces was already a generation behind. When Toyota Australia updated the Camry in 2015, it adopted the refreshed exterior of the US-developed international models, but budget issues here prevented the adoption of the fresh, more ergonomic interior and advanced driver assist functions such as automatic emergency braking (AEB) and adaptive cruise control (though AEB was later added to the upper-spec Atara SL). This didn’t stop the Camry being the most successful medium car in Australia by a long shot, helped by fleet sales. However, it was starting to look pretty dated against sharper-looking imported rivals loaded with extra tech. If Toyota wasn’t forced to close Australian production after Ford and Holden pulled the pin, making the local supply chain unsustainable, the locally produced 2018 Camry would have been two generations behind the one arriving in Toyota showrooms now. The imported 2018 Camry bring brings AEB as standard across the range along with adaptive cruise control, lane departure warning and LED headlights with auto high-beam. It has been totally re-engineered on Toyota’s new TNGA architecture, which also underpins the C-HR and Prius, and brings a higher quality chassis resulting in much improved steering. It also accommodates double wishbone suspension for smoother, balanced and stable ride that’s now comparable with the Ford Mondeo and Mazda 6. The longer and wider underpinnings bring a sleeker look, with slimmer pillars, a lower bonnet line and deeper glasshouse provide better vision. It also means a more spacious interior with a modern dashboard that better incorporates the infotainment system, comfier seating with improved driving position. The 2.5-litre four-cylinder petrol engine models perform similarly to the previous model, but there’s a marked improvement with the 2.5-litre hybrid powertrains in terms of mid-range power and fuel economy, helped in part by a revamped CVT auto. The new Camry also brings a V6 version, which will replace the Aurion that was arguably more outdated than the 2017 Camry. Finally, the new model finally ditches the beige and should attract new private buyers to seeking more than just Toyota reliability. The fact that pricing hasn’t changed greatly, with some variants actually being a little cheaper, will add to its appeal.